Extremely restricted range (EOO 6 km²) and known from a single location with 500-1000 mature individuals. Potentially threatened by mining. Restricted to a hill above the Atok Platinum Mine at Monametse in Sekhukhuneland. 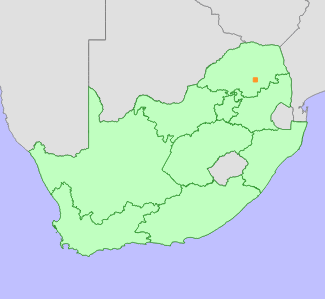 Sekhukhune Mountain Bushveld. 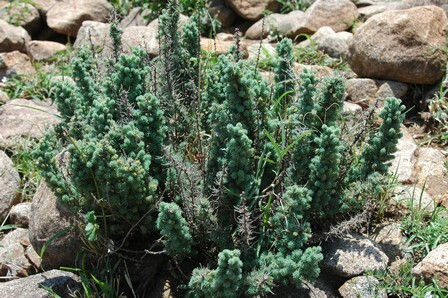 Plants grow in full sun on rocky north-west-facing hill slopes. The ridge where this species grows is at present undisturbed. However, there is a large platinum mine on the plains below and a new reservoir has recently been constructed above the population. This species is therefore not safe from the potential threat of habitat degradation/destruction. 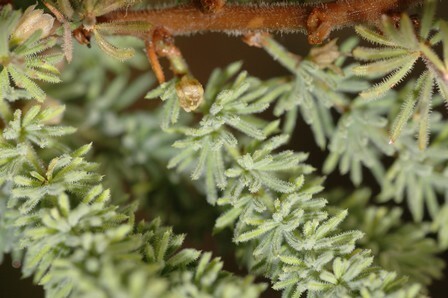 All collections of this species are known from a single hill slope about 2 km long. Along this hill there are many small groups of plants (about 20-30 in a group). The total population is c. 500 mature individuals, and it is highly unlikely that there are more than 1000 mature individuals of this species. Burrows, S.M. and Burrows, J.E. 2008. Three new species of Asparagus (Asparagaceae) from South Africa, with some notes on other taxa. Bothalia 38(1):23-29.